1. 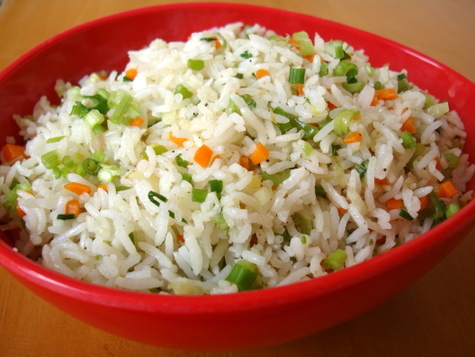 Cook rice with salt and keep aside. 2. Heat oil in a wok and add onion and fry till they are transparent.